With the surge of cloud computing, there’s been an increase in demand for more and more data centres. While many might visualise “the cloud” as an intangible asset that lives online, these terabytes of data are stored in vast warehouses that are taking up a growing amount of physical space. 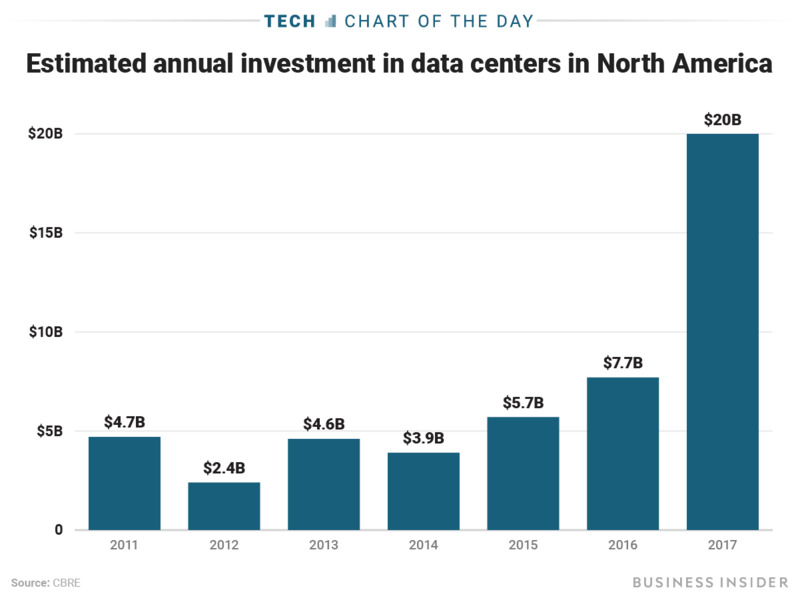 As the need for data centres grows, so does the amount of money invested in them. This chart by Statista shows the gradual increase of money invested in data centres in North America over the past six years, which spiked in 2017 at a staggering $US20 billion.